Home » News » How to integrate QuickBooks with RepairDesk? How to integrate QuickBooks with RepairDesk? Accounts and finance management is a key for flourishing of any business. Finances acts as lifeline of any kind of organization. Effective finance management helps to bloom the business completely. For that you require proper tools to operate effectively. There are so many financial and accounting tools available in the market. Among them QuickBooks is the best accounting software. RepairDesk is a POS software that is designed specifically for smaller business organizations. The biggest benefit of the program is that it is based on cloud. With repairDesk and its added functionality of syncing with Quickbooks provides repair centers in achieving the much needed excellence they need. Sync RepairDesk invoices with QuickBooks automatically. Inventory and payments can be linked with QuickBooks to remain updated round the clock. Generate invoices and store data on cloud and sync with devices in a matter of clicks. Move your repair business to the correct the right direction by accounting for all financial transactions. Track your invoices and transactions to manage invoices effectively. How to Configure QuickBooks Integration with RepairDesk? At any point of time, if you feel confused then dial ✆ +1800-940-7442. Log in to RepairDesk, Go to Integrations tab and choose to click over QuickBooks. Click on Connect option, which will connect RepairDesk with your accounting program. You will be landing to a separate screen. Hit Connect to QuickBooks button. You can see the Sign In screen -> mention your login details for your QuickBooks account and click on Sign In button. (This integration is compatible with the cloud version of QuickBooks unlike Desktop version). When you are ready, authorize your QuickBooks integration with RepairDesk. This you can by clicking on the authorize button. Account for Payments including Accounts Receivable (A/R) or Cash in Hand. When you are done with setting up the accounts successfully -> Click on the Save Configuration button. Then you will be moved back to the QuickBooks integration page. For re-configuration of accounts -> Click on Account Configuration. For disabling the QuickBooks integration -> Click on the Disconnect button. Inorder to check for one particular invoice you would need to go to manage Invoices page then Click on Search Filter -> then choose status from the drop-down menu -> Click on Search. Click on the Action button against the invoice and select Sync with QuickBooks option for syncing any particular invoice from the drop-down menu. In case you want to sync invoices in bulk -> click on check boxes against invoices in order to mark them for selection. When they are selected -> Click on the Action button in the right corner of the top -> then Choose Sync with QuickBooks option from the drop-down menu. Ques. What is the limit of requests that QuickBooks is capable of processing at the same time? QuickBooks accounting program is designed to process 50 requests per minute (either customer, inventory or invoice request). In case you need to sync a large amount of inventory, customers or invoices, QuickBooks will take time to sync them. Ques. What is the way the inventory items and customers sync with QuickBooks? QuickBooks integration with RepairDesk usually syncs on the nature of invoices. In the process of syncing with QuickBooks, the process verifies if the customer or inventory item is already existing in QuickBooks. In case it does not exist, then it is added to QuickBooks. Ques. Can two different customers with same name be added? Yes they can be added! To differentiate the two customers, their Customer ID in RepairDesk will be added after their name so that they can be identified and system doesn’t mix them up. Ques. Can line item discount be added? 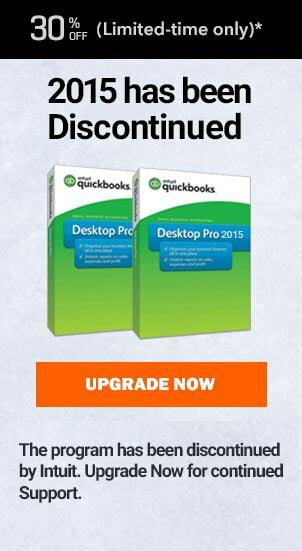 QuickBooks integration with RepairDesk doesn’t fetch you line items discount. In case the items in your invoices have line items discount, the integration accumulates these line items under a separate line item called discount with negative sum so that your amounts are not affected and discount is accounted in right way. Ques. Can multiple tax classes be added for different items in an invoice? In RepairDesk you are privileged with many different tax classes. This you can use for recording different invoices. However, using QuickBooks integration only a single tax class should be applied all through the invoice. The integration will identify the tax class is applied or not. Hence it is recommended to use same tax class for all items in such invoices. Ques. Does QB & RepairDesk integration works with Quickbooks basic? This integration is compatible with Quickbooks plus only and not with any other versions. 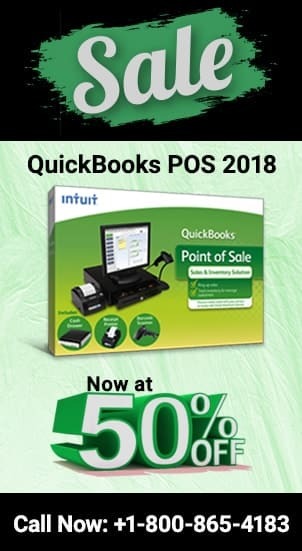 Though we have tried to cover everything possible, but if you still find any confusion then connect For further information you can contact QuickBooks customer care support team. The team is prompt and approachable through phone support, email support and live chat option. Also you can connect with other QuickBooks reliable support agencies such as QBPro.ca. It roofs highly capable QuickBooks experts who offer instant information and solution related to QuickBooks and RepairDesk integration. They assure complete feasible solution in a very short time period. Connect with Canada support team via the toll free phone number ✆ +1800-940-7442 and garner immediate assistance.